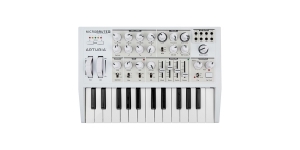 Synthesizer, Analogue (A), Voices: 1, Monophonic, Number of Keys: 25, Size: 2, Mini Keys, Production start: 2014. Not so long ago the Swedish synthesizer company Elektron announced Analog Heat – powerful and compact analog stereo processor with vast range of connectivity and control possibilities. 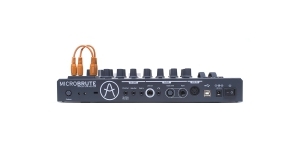 Shape the sound with 8 analog stereo distortion circuits, analog multimode stereo filter and analog stereo equalizer. There’s a huge difference between lite versions and mini synthesizers. While lite versions often turn to be a stripped down model of an instrument which used to feature an imposing range of functions, the compact keyboards can sometimes replace the weighty originals. Of course, if the number and size of the keys don’t matter so much to you. 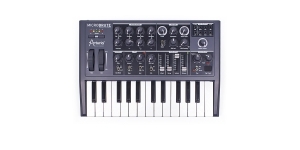 But if you want to get the quality, sound and parameters of the pricier unit for less money, then mini synthesizer is likely to gain even more popularity and become more commercially successful than the genetic roots. 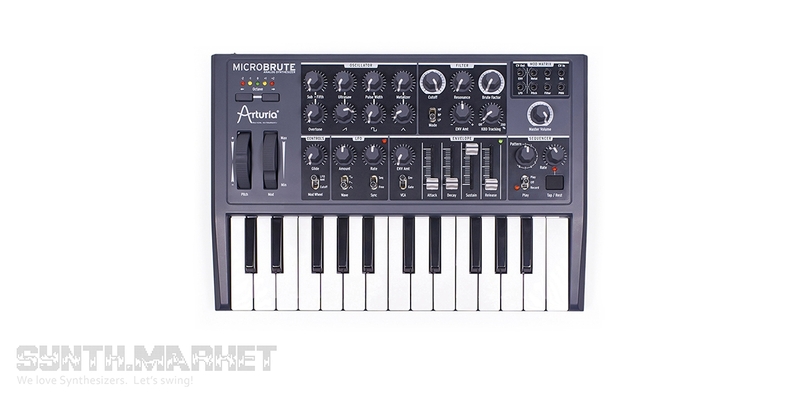 Arturia, Novation, Korg and Ketron prove that to us. 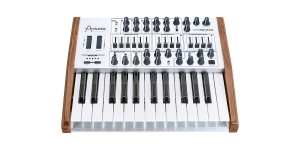 Arming with voices, memory, presets, stuffing the instruments with the existing and known developments, designs and innovations, releasing synthesizers chockablock with functions, options and features were in fashion during the digital era euphoria apogee. 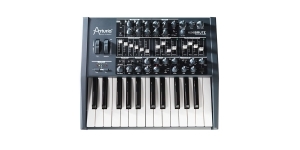 The new wave of obsession with analog synthesizers brought hybrid technologies and the ability to control all the parameters in detail via your personal computer. And it’s very likely that soon we’ll be able to control our instruments via the Internet. Today is also the prime time for peculiar and extraordinary devices which feature unique sounds, combination of unusual technical specification or sport an exclusive interface.